Jason Cacioppo M.D. is a plastic surgeon at Community Health Network. He has lived in Indianapolis for the last 13 years. His family includes wife Jayna and their two kids, Cooper (8) and Caroline (5). 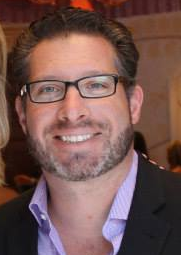 Jason’s practice focuses on plastic surgery of the breast and breast reconstruction. In this role, he works primarily with breast cancer patients and has become passionate about the cause. His mother is also a breast cancer survivor who just celebrated 10 years of being cancer-free. Random facts: I make the best donuts, I am a hockey player and a pilot. Also, I am in Home Alone!